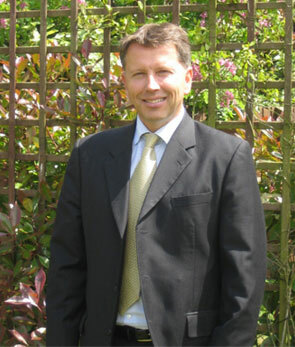 Timothy Hay, owner of New Hall Lodge Park and Managing Director of the Beeston Group, owns eight holiday parks in East Anglia. Here he explains the best and the worst things about buying or selling a lodge and his opinion of the lodge market. Q. So Timm, how long have you been buying and selling lodges? A. My Dad started with the first caravan park in Cromer in 1979. I am proud to say that I still own this park today. Lodges first came on the scene for me in 2000 when we purchased Cliff House Holiday Park in Dunwich, Suffolk. Q. So how many lodges do you sell each year? A. We sell about 6 a year at Yaxham Waters in Norfolk, 2 or 3 at Beeston Regis in Sheringham, Norfolk, approx. 7 or 8 at New Hall Lodge Park in Essex and about 6 or 7 at Cliff House Holiday Park in Suffolk. Our new development of 75 lodges at The Hollies, Kessingland, Suffolk should sell about 10 lodges a year from 2013. So, in total, approximately 30 lodges a year. Q. What is the best thing about someone buying a lodge in your opinion? A. To be honest, it’s different things for different people. The top reasons would include enjoying your leisure time, buying a home from home, a chance to explore a new area and making new friends. Q. Timm, have you ever stayed in a lodge? If so, where was it? A. Yes, I have. I stayed in a lodge at Cliff House on and off for about 4 years and have taken my family to a lodge at Beeston Regis numerous times on holiday. I have to say my kids loved it – fresh air, walking on the beach, finished off with a pint of Adnams (for me!) and fish & chips. Great. Q. You obviously know the lodge market. Can you help others in the right direction? A. Yes, of course. Firstly, choose the right location for your holiday destination. You will be spending a lot of your leisure time exploring and getting to know the area. Secondly, try to choose a park with like-minded people - people perhaps of a similar age or background. In broad terms, whilst not always the rule, you will feel more settled and part of a happy community spirit if you buy with people of a similar background and age to you. Thirdly, I would encourage people to buy British! We in Britain often forget that our country has fabulous coasts and countryside. Buying a British-made lodge in Britain is good for our economy and you know where you are with Britain! Q. Timm, you have banged the drum for British holidays! What about the cons? A. Lodge park owners have a duty of care to the customer. Most parks are registered by the BH&HPA so any problems can be reported. As long as the buyer does a little research and speaks to other lodge owners on the park, they should, in the main be fine. For the more cautious, I would advise you to instruct a solicitor. On my parks, my reputation is very, very important. I like to think many of my customers would trust me implicitly. Q. You have been on TV and Radio recently. What would you say to the people that haven’t heard you? A. I’m keen to tell people about the opportunities available to them.